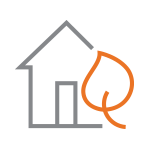 Start Your Natural Gas Service | Spire Inc.
Or, I want to add another service address to my account. Are you in our service area? Let’s check. An adult 18 or older is home. Your electricity and water are on. Pets are secured (so our technician can access the equipment safely). On the day of the appointment, we’ll send a technician to your home or business. Once we complete a safety inspection, we’ll turn your gas on. At most times, we can schedule your appointment for the next business day. If you're starting service online, you'll be able to see a list of appointment dates and times. October and November are a busy season for us; service appointments may be limited. Please allow extra time during these months. Service appointments are not available on holidays. Start your new natural gas service with Spire online without having to make a call. If you prefer to speak with a Spire representative, please call us.